Anybody who sets out to study the development of the city’s neighborhoods can expect to do lots of driving. 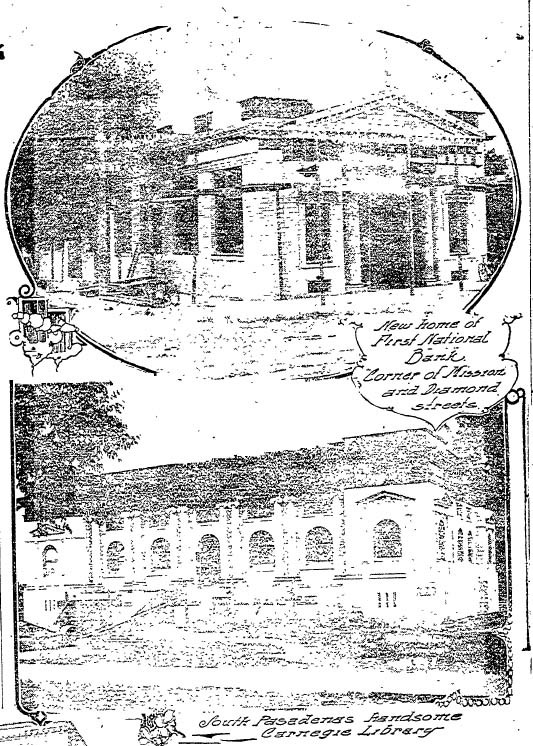 My recent travels have taken me to an obscure area of South Los Angeles to look for 1907-era houses mentioned in the Dec. 8 issue of The Times: one in the vicinity of 4615 Wesley Ave. and another around 124 W. 52nd St. (Bonus fact: Broadway in that area used to be known as Moneta). I’ll post some pictures later. The buildings on Wesley are a mix of single-family homes and two-story apartments. As for preservation, you might as well call this neighborhood Stucco Heights. The Dec. 15 issue pays another visit to South Pasadena and as these buildings involve a short walk rather than a long drive and time is short; well, you get the idea. The Times notes 299 building permits in South Pasadena in the last year with a total valuation of $357,036 ($7,327,653.44 USD 2005). 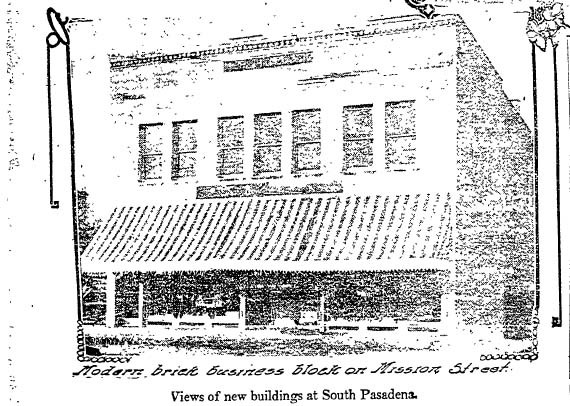 One of the buildings noted is the First National Bank of South Pasadena at Mission and Diamond, now home to an antique store. And then there’s the library, where people are out doing Tai Chi every morning. I’ll post pictures when I get the film developed. We are old school around here…. This entry was posted in 1907, Architecture, Pasadena and tagged 1907, architecture, development, South Pasadena. Bookmark the permalink. ‘…get the film developed.’? You’re a card.